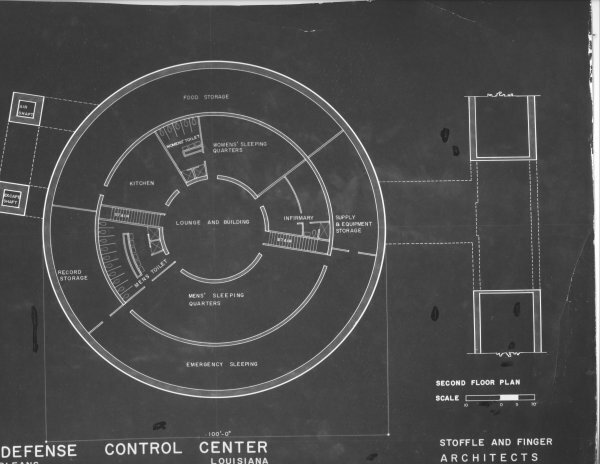 In the decade following World War II, the United States formulated a Civil Defense initiative that would attempt to preserve order during a nuclear attack. 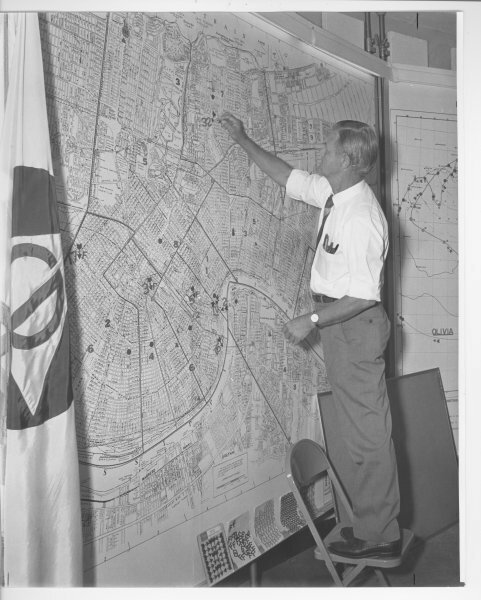 In 1950, the Louisiana Legislature created the Civil Defense Agency and authorized each community to establish a local organization for civil defense in accordance with the state plan. 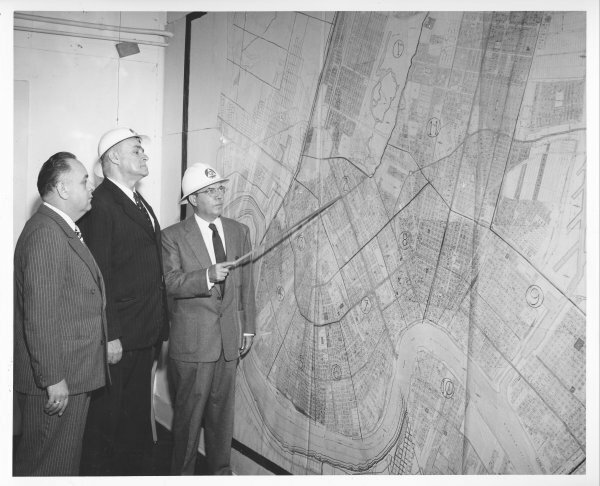 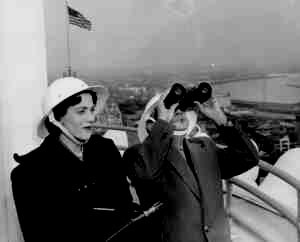 In 1952, the Office of Civil Defense in New Orleans was commissioned to "prepare for, coordinate, and carry out all emergency measures other than military, necessary to minimize and repair injury and damage resulting from disasters caused by enemy attacks or other hostile action, or by fire, flood, earthquakes, or other natural causes." 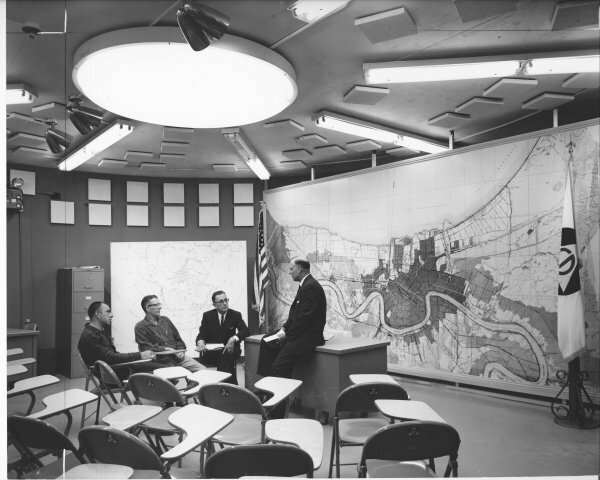 Throughout the 1950s and 1960s, Civil Defense maintained an active program to instruct citizens in procedures to follow in the event of nuclear attack. 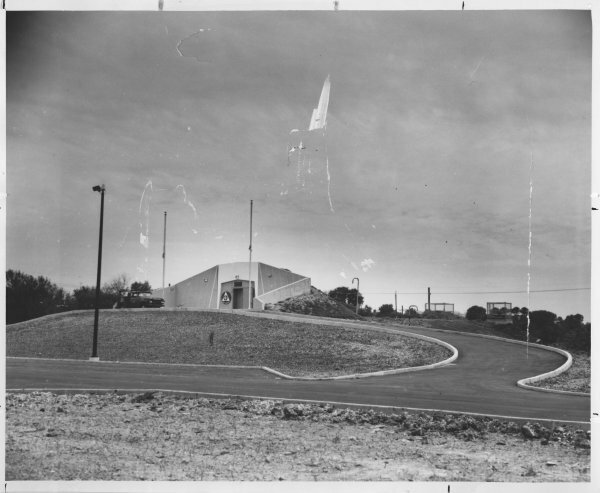 Fallout shelters were designated throughout the city, including the basements of the new City Hall and the Main Library (where fallout shelter signs can still be seen). 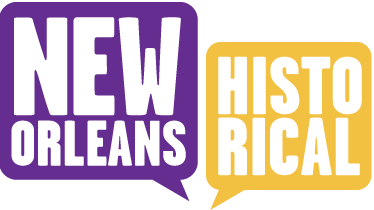 The city installed an elaborate warning system of 76 large sirens and even built a fully equipped command center from which city officials could "safely" direct the operations of rescue and salvage following an attack. 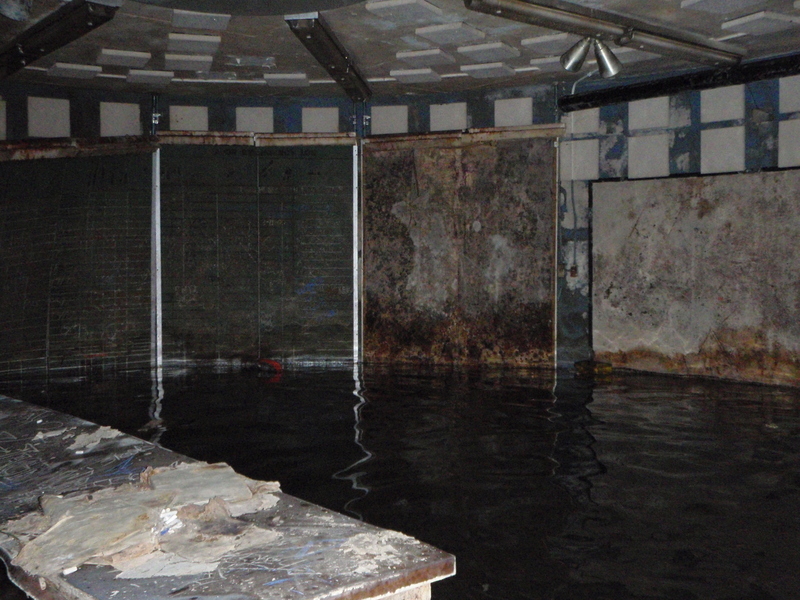 The bunker remains abandoned and in disrepair on the neutral ground between West End and Pontchartrain Boulevards. 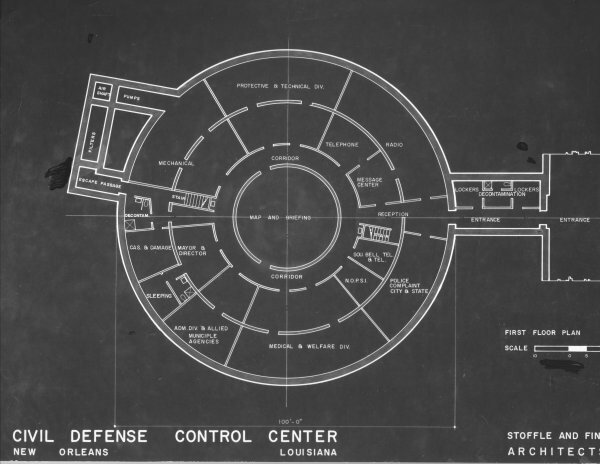 Matt Woodard, New Orleans Public Library, “Civil Defense Control Center,” New Orleans Historical, accessed April 24, 2019, https://neworleanshistorical.org/items/show/274.